I want to thank you for the outstanding job you have done on my properties over the years. Your service has always been exceptional and the quality of work from your organization is consistently excellent. Thank you for keeping the properties that you maintain for me always looking their best. 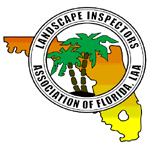 We have been using Southern Scapes for our landscape company for several years. I know that if I need something done, whether it is for the private homeowner association which they also maintain, or the master property association, I have full confidence that the work will be done right and to my satisfaction. Call Us for a free estimate, or use our convenient online form.